Home News Harrogate is coming around again! Every spring feels like a new beginning, and with this in mind the 2019 collection from Sophia Tolli is one of her most diverse yet. Incorporating luxurious curve-hugging stretch crepe and soft tulle fabrications with contemporary lace and delicate beading, each gown has been handcrafted to flatter every taste and body shape. Also, breaking news: this time the line up will include five Sophia Tolli Première pieces – a curated selection of richly embellished gowns for brides looking for that extra little touch of opulence. More than a nod to the best of vintage, LouLou promises to once again recreate the fabulous ’50s with beautiful skirts, wide belts, pale colours and retro-style beadwork. From the same house and designers, Christine and Jane, comes the Louise Bentley label. This is the go-to place for elegant, contemporary dresses, slickly cut and with intricate but discreet embellishments. True Bride is setting the stage at Harrogate with its ‘Gatsby Glam’ looks that feature intricately hand-beaded bridal gowns, as well as bridesmaids that, this time around, mirror key details of the main collection. Expect to see romantic waterfall sleeve details, plunging backs and some of the best colour palettes around. Texture is a key feature in many of the 2019 collections, best in the newest breed of luxury fabrics that include detailed brocades, wonderfully different laces, and self-patterned jacquards. At Allure, the focus is on a certain richness in the chosen fabrics, so shimmering satins and detailed cotton laces with real personality star throughout the ranges in this great-looking portfolio. We’ve been told to expect a little of the unexpected from Allure Bridals for the new season, and it is a cert that this will include some amazing beadworked detailing. Ivory & Co’s Into The Limelight collection is all about getting noticed. It’s wonderfully romantic, influenced in no small way by the style icons of the golden age of Hollywood (where screen goddesses positively sparkled), but with soft and flowing silks adding a sophisticated, contemporary twist. Check out the boho capes and jewel encrusted accents. Ramping up the classic, refined, and timeless feel that it is known for, Justin Alexander is introducing art deco beadwork on elegant silhouettes, Jazz age styles as a sensual nod to the 20s and 30s, and chic ‘preppy’ gowns that echo the best of ’50s design. If you want edgy, this is it! 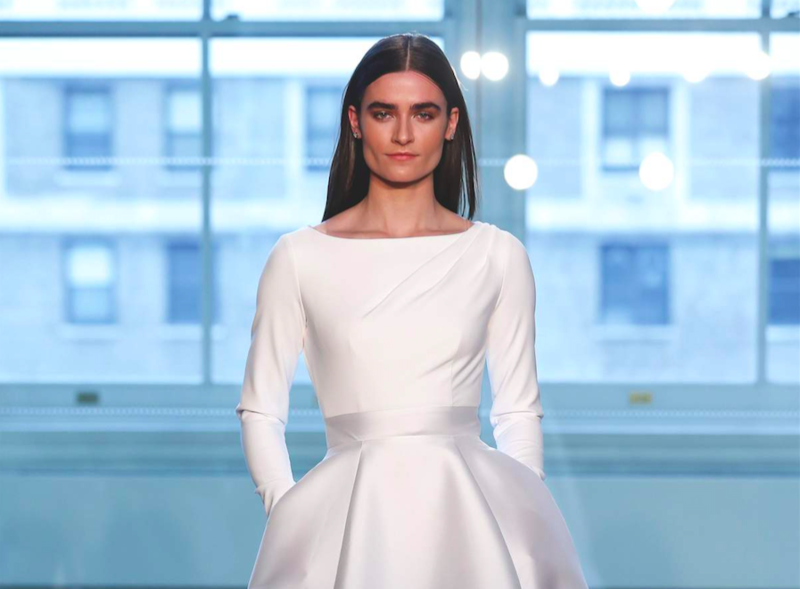 Justin Alexander Signature has been inspired by the juxtaposition of modernity and opulence – expect clean lines with unexpected asymmetrical draping and subtle transparent details that are cool and minimalistic. 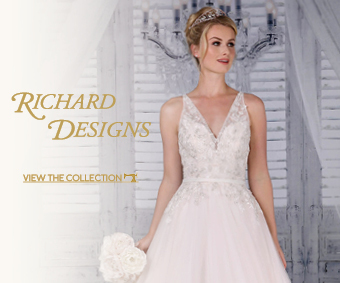 The S/S 2019 collection from Romantica is bursting with fresh new looks, exciting new fabrics and stunning new silhouettes. There is a fabulous sparkling tulle used as an under layer that catches the light beautifully; in fact, the fabric choice across the ranges is rich and varied with slinky crepes, flowing satins and mikado. Stunning hand-beaded details, jewel-encrusted bodices and sparkling waistlines feature throughout and as for necklines, there are bateau styles, while the off-the-shoulder numbers promise to be a huge hit with new season brides. Boho lovers will be enchanted by the new Lillian West collection. Inspired by the carefree spirit of Ibiza, the newest gowns are laid-back, lightweight for breezy spring and summer days and balmy celestial nights. And then there’s Sincerity, with princess touches and a gentle twist: romantic off-the-shoulder necklines, beautiful hand-placed lace details, soft ruffles, and delicate floral embroidery. Hitting headlines will be interesting cutouts and new ways to use illusion, including floating cups. See-through fashion Taking inspiration from the catwalk, Rainbow Club has introduced three styles that feature transparent PVC cut-out detailing. Choose from a low-heeled court, sassy high-heeled peep toe and a modern block heel. On the Nicole Milano stand you will fall head over heels with this gown (style NIAB19039). A princess line silhouette, this has a skirt with soft volume, and floral lace tattoo effects on the sleeves. We love the embroidered macramé lace and the sequins scattered across the bodice. Visit theharrogatebridalshow.co.uk for all the latest news and to register. Ladybird celebrate huge rise in orders!